Prada's pumps have been crafted in Italy from panels of white and beige leather for a neutral two-tone effect. Set on a sturdy 85mm block heel detailed with the brand's logo, it has a retro square toe and slingback ankle strap. Style them with tailoring for the office or cropped denim at the weekend. 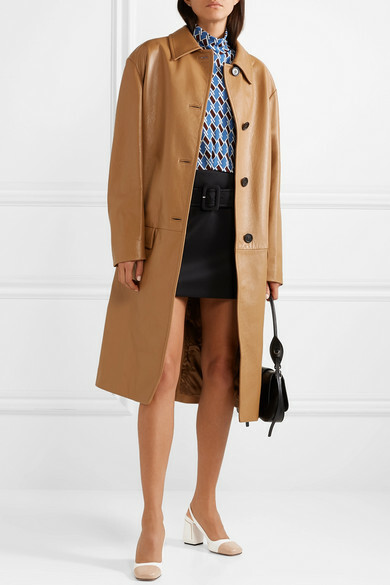 Shown here with: Prada Coat, Prada Skirt, Prada Top, Prada Shoulder Bag.